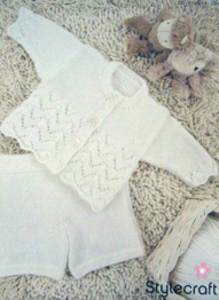 Cardigan: 200g. Shorts (0-6mths only) 200g. Based on 200g balls acrylic baby DK.